Negotiation is an important aspect of a manager's daily life be it home, workplace or social environment. The need for negotiation is rooted in difference of opinions, perspectives, views and disagreement arising thereof. Conflicts are very natural to work and work organizations. Almost all managers have to deal with one kind of conflict or the other. There has been a huge transition in the way conflict has been conceptualized over a period of time; right from bad and avoidable to good and desirable in a little amount. A better understanding of the concept can help managers and leaders develop appropriate conflict management skills that in turn will help them to develop effective negotiation skills. Negotiation skills come very handy in managing diverse set of people at work. The programme has been designed to impart knowledge and skills that would aid managers and leaders improve their performance and also the performance of the people around through effective negotiations. to impart conflict management and negotiation skills in order to become more functional in roles, in general and in business negotiations, in particular. to build a wholesome conceptualization of conflict management and negotiation skills to create a win-win outcome. to understand and appreciate the role of conflict and its imperatives both positive and negative. to facilitate participant to be a more effective negotiator across various business and other kinds of negotiations. to develop behavioural competencies of managing conflict and doing successful negotiation in working environment. Through experiential exercises, lectures, videos, individual/group exercises, role-plays, paper- pencil exercise, case analyses, self-evaluation and on-the-spot feedback; participants will experience a creative, inspiring and energizing module of two days. During this time, they will be exposed to participative classroom interaction, discussion organized around smaller clusters for a variety of process exercises that enable managers to reconnect with their inner selves and provide them with a set of self- assessment tools that they can action in their own lives. The overall learning will rely on active participation from participants. Program is meant for middle and senior level executives who need to effectively persuade external stakeholders and/or internal staff on several business related issues. Also, the program is suited for managers in various functional areas of management and for leaders in different kinds of organizations like Police, PSUs, NGOs etc. 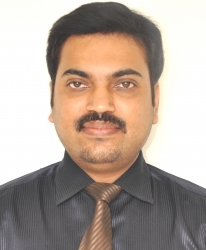 Dr. Vimal Babu is an academic in the area of Human Resource Management and Strategic Innovations in Business Management. Presently, he is in service with Symbiosis Institute of Business Management (SIBM Pune), Symbiosis International (Deemed University), Pune. Specialties: He imparts training in behavioural improvisation and leadership development of employees in corporate, SMEs and emerging startups. Some of his current areas of interests are, building high-performing team, leadership development, enriching org culture, design thinking for innovation, HRM for line managers, change management, negotiation Skills for executives in MNCs, inter alia. Research in social science has always fascinated him. He is intrigued in the intersection of arts-based leadership and business, especially in the context of people, employee experience management and cyborg anthropology. Earned PhD in Management, concentration in Leadership from Centre for Management Studies, Jamia Millia Islamia Central University, New Delhi. Consulting, training, research and learning innovations have been the major focus of Dr. Babu over the last 15 years. He is an author, painter, singer, and sportsman as well. He is married and lives in Pune. Chinmay is a practicing Leadership Coach for Corporate Executives and Business owners. He also facilitates various workshops and trains Corporate Executives and Business Leaders to improve Productivity, Business Acumen, Result Orientation, Time Management, Leadership Presence, Strategic Thinking, Negotiation Skills, work/life balance etc. 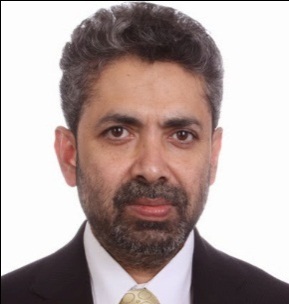 Over last 3 years he has taken one to one coaching assignment for senior Corporate Executives from HSBC, TATA Tele Services, Pernod Ricard, Tata Sky, Ultratech, Grasim, Godrej, JSW, CBRE, SBI, Madison World, Medley Pharmaceuticals Ltd, Emami Group, Tata Motors Ltd, Zensar and few other reputed Companies in India and Abroad. He has facilitated Leadership workshop based on Competencies in Wolters Kluwer India, Imerys, TCG Digital, LIC India, Cresmac Foundry, Emami Group, Administrative Training Institute etc. He also mentors SME Owners and Start-up Owners and advises them for Business Growth. He did Leadership Course from INSEAD and he is a Certified Coach from NeuroLeadership Institute, USA and Erickson College, Canada. Chinmay has been working at internationally reputed companies like HSBC, TATA, and British Council for about 27 years. He has worked in various senior professions and responsibilities. During his tenure in Corporate he has contributed towards Leadership Development, Strategy for Organizational Growth, Cost Optimization, Internal Process and Productivity improvement etc. His passion is to promote Organizational Performance, Productivity by making people aware of self across Competencies and others through interactive workshops and Leadership development through Coaching and Mentoring. As a successful leader himself he has guided and mentored a large number of people irrespective of culture, geography, designation during last 28 years. He is married and lives in Mumbai. *Discounts are offered for more than one participants from same organization.